Reveal the top ten cards of your library. Starting with the next opponent in turn order, each opponent chooses a different nonland card from among them. Put the chosen cards into your hand and the rest on the bottom of your library in a random order. So, I'm not sure I'll change your mind, but I'll explain why I prefer the cards over Foresee and let you judge beyond that however you feel most comfortable. 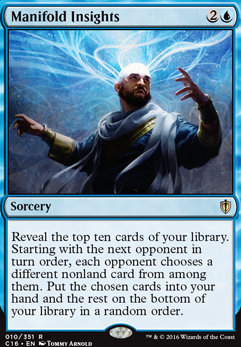 Foresee , by rule, does let you theoretically see 6 cards, but thats probably the worst case scenario for that card since that means your scry 4 is putting everything on the bottom and you are drawing blind. Cards like Fact or Fiction and Steam Augury allow you to do 2 things. 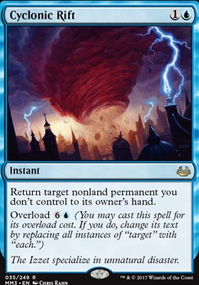 1) you get to leave your mana up for any other instants or interactions that you can have when it is not your turn. 2) It puts you 5 cards deep into your deck at instant speed, so after resolution (in theory) you have full access to whatever pile you choose on your turn. These cards are also excellent politics cards if there is a scenario in multiplayer that everyone is way behind one player and you need to dig for an answer, you can talk your way into more favorable piles. Lastly, I understand players have the fear of not being in control of your cards, but quite a few spell slinger decks utilize their graveyards aswell as their hand for redundant value, so even though you get a 2 or 3 card split, those other cards can always be reclaimed with other effects and playing green, you have several ways to buy back cards. Manifold Insights is a card that I like solely because it boils down to pay 3 mana, get 3 non-land cards. It is excellent in mid to late games because more often than not the worst thing you get is ramp, which in itself is pretty good. One thing I did not mention is you probably want to add Fall of the Titans to replace one of your fireballs. Personally I don't much care for Crater's Claws . In a vacuum, its just a much better card whether you have 12 mana to do 14 damage to one target or you cast a 2 drop, have 10 mana at instant speed to 2 targets seems much stronger. Finally, I did see the changes and do like the adds. I am a little skeptical of cutting Regrowth as that is a very strong card and is better, in my opinion, than something like Serum Visions or Ponder . Those two are great cards, but Regrowth effects in commander are much stronger than 1 mana, draw 1. Especially in the late game. The curve is really only dependent on what you are trying to do ranging from storm low to reanimator high. I don't have any issues with the curve you have just was looking at not cutting a 2 (Baral) for a 4 (Jace's Sanctum). 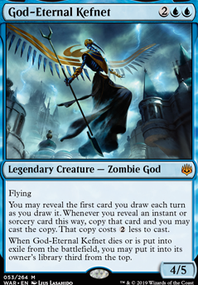 As for cards I would cut, I mentioned Baral seems underwhelming to me. Foresee does aswell. I also don't think Niv-Mizzet does a whole lot with the amount of draw you have. Recruiter of the Guard - A bit wonky but it finds rector and other bears. Decent if you're trying to up your count. Also works as part of the combo kill by finding spellseeker and initiating the chain I posted above. 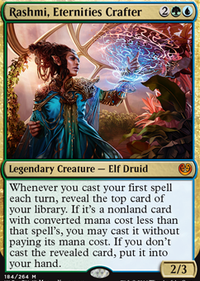 Manifold Insights - We talked about this one but the main premise is that you're digging 10 and that at least a few of the hits are going to be lands. The rest will be some combination of gas or semi live draws. The worst thing your opponents will give you are dorks/ bad ramp/ or redundant looters but you only have 10 combined of all those effects in the deck so the chances are pretty low that you end up getting a grip or 3 after this. Odds are in your favor. I don't think we want this in stuff like circu but when it comes to UW, Winterblast was right again. Intuition - Manifold Insights is basically a worse copy of this effect. Works with seasons past, rector recur, and pretty much every combo you have access to. Plus it's an instant. The last thing to consider is the dredge stuff in conjunction with Replenish and Open the Vaults . The real issue would be one of can you get enough pieces to the yard and to be honest I'm not sure. You get some neat tech with all the bant land recur, stuff like Riftstone Portal , and potentially things like Wonder which will act as evasion for rafiq and your draw dorks. Maybe these would even be able to justify something like Survival of the Fittest coming back but it just depends on how you can play with the grave. Lands, enchantments, and artifacts are all easy and you even have some play with recurring instants and sorceries but getting creatures back is much more difficult. This paragraph is more food for thought than recommendations though as it would be near impossible to build a shell with all this without finding an entomb type effect or some sort of massive miller outside of the deck's looters or something insane like Hermit Druid or breakfast combo. Absorb doesn't seem to be on flavour. How about replacing it with Manifold Insights ? It's free off your commander, you're testing your opponents (albeit with multiple choice), and you'll get three cards. Nietzsky thanks for the link! I see you play more reactive and scepter also requires different cards. I'm playing more cards that prevent scepter and the like, In the Eye of Chaos for example is specifically anti-instant tech and while it is just one card in 99 it definitely has some impact on card choices. One result is playing more proactively and not passing turns and keeping counterspells in case something important is cast. That in turn makes Teferi worse than Narset and the land untapping pretty much irrelevant. Also leads to the disenchant > negate issue...let's say I have the option of casting something or keep the mana open for negate. I would always slam down what I have and play a disenchant on my next turn IF someone has managed to play something like mana rocks or whatever instead of having to decide whether I play or keep a reaction for something that might not come (and lose a turn). Of course, there are spells that can't be dealt with on the following turn, but in the early game it's often rocks that slipped through and that I want to remove again and later my playstyle forces opponents to spend their little resources on not losing to each other's threats when I keep playing aggressively. That works better the more competitive the table is, but to be honest I wouldn't want to run into random suboptimal decks with GAAIV anyway...as I have built it now it's best against opponents that can actually do something an not just want to get value on the table. When playing online against random people I have exchanged Manifold Insights with Supreme Verdict (maybe Wrath of God, not sure if the colour requirement is better than can't be countered) because it happens more often that people just leave a game or their prog crashes and there's also the possibility of running into more creatures than I see locally. On a side note, I do think that the budget has a lot of impact on how you can play stax. The game warping potential of some high priced cards is so massive that you can build around them in a way that can't be done if you need budget replacements. Your mana curve peaks at 4 mana and you have Mirari's Wake, so it might be interesting to invest in 2-mana land ramp options, so you can cast your 4-drops on turn 3 to get your plan going. I suggest Nature's Lore and Farseek. Gyre Sage grow up and ramp quickly, while Rishkar, Peema Renegade can put the first counter on creatures so you can proliferate them and tap them for mana when needed. I would take out Ikra Shidiqi, the Usurper (you need to hit someone to profit on her - she is better on a lifegain/token deck), Primal Amulet Flip (you don't have many essential sorceries to be copied) and Custodi Soulbinders (a really slow card) for them. // Orzhov Advokist serves double duty: she deters opponents from attacking you if they accept the offer, and also put counters on your creatures for free. Inexorable Tide is free proliferate while you cast your spells. 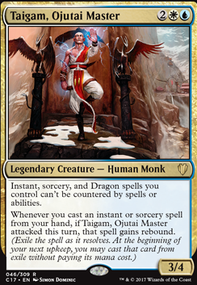 Lim-Dul's Vault is a better tutor than Diabolic Tutor (maybe you should run both). // I would also upgrade the removal package to make it more versatile: Utter End instead of Sylvan Reclamation, Anguished Unmaking instead of Viridian Corrupter (if you want to win with infect, you have to fully commit to it), Abzan Charm (great versatility) instead of Mortify. Swan Song (better because cost less) or Arcane Denial instead of Mystic Confluence (5 mana is a lot to hold in a proactive deck). If you need even more removal, Beast Within and Swords to Plowshares are cheap ones to pick. // In terms of finishers, you could swap out Tuskguard Captain for Herald of Secret Streams. Odric, Lunarch Marshal has great synergy with Atraxa, Praetors' Voice. Champion of Lambholt, Managorger Hydra, Chasm Skulker and Cathars' Crusade require quick answer, or else they win you the game. // In the card advantage department, Bred for the Hunt, Path of Discovery (also create counters), Shapers of Nature (also create counters), Zameck Guildmage and Etched Oracle are repeatable draw while Rishkar's Expertise, Prime Speaker Zegana, Painful Truths and the aforementioned Abzan Charm are 1-shot card draw. 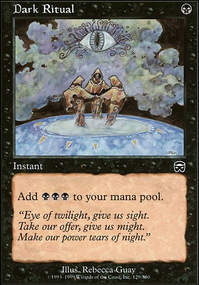 I recommend replace Manifold Insights and Mirrorweave with Rishkar's Expertise and Prime Speaker Zegana. 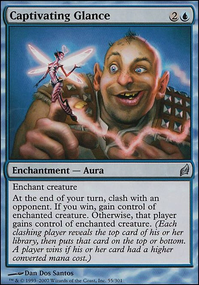 It is important to have about 10 ramp sources, 10 draw sources, 5 target removal and at least 3 boardwipes, and you should look for cards that can do more than 1 thing (like Abzan Charm) because they are the most versatile (therefore valuable) cards in your deck. // Guildmages' Forum is a strict upgrade over Opal Palace, because it can put counters on other creatures. I would also reduce the number of tapped lands in the deck, so you can reliably play something on turn 2. Blossoming Sands, Thornwood Falls, Tranquil Cove, Azorius Chancery, Dreadship Reef (doesn't provide colors right away) should be the first ones to be swapped. Some nice cards that enter the battlefield untapped are Caves of Koilos, Llanowar Wastes, Yavimaya Coast, City of Brass, Mana Confluence, Reflecting Pool, Bountiful Promenade, Sea of Clouds, Morphic Pool, Gavony Township, Watery Grave, Hallowed Fountain, Godless Shrine, Breeding Pool (the last 4 are all getting reprinted). Daedalus19876 I rather have not too many tutors that don't give the cards directly in hand here. 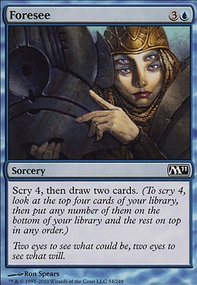 With Chains and Uba Mask as key cards of the deck it's sometimes not possible to just get the card from a to-top-tutor in the same turn and then these cards slow you down more than you want. What I have added more of are cards that provide more card advantage, such as Manifold Insights. That's always a gain and at worst you just get mana rocks and cantrips...at best, people give you stuff to hurt each other or they are forced to give you combo pieces.